I tried a few but didn’t love the outcome or the look so much on me. Wouldn’t this make the cutest demure cat woman costume for halloween? Or animal day at school for a little one? Or, I don’t know, ANY DAY EVER. I just really like cats. Anyway, here is my pattern! Using a cut piece of yarn, about 12″ long, sew the ears into place. 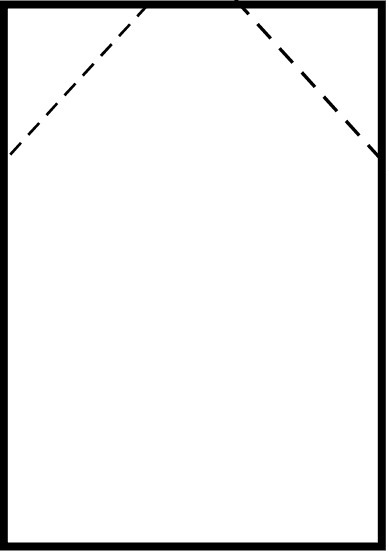 If looking at your work as a rectangle, with the edge you sl st together in Row 52 on top, stitch along the dotted lines as in the image below. Weave in the ends and you are all done! I folded up the bottom in a cuff because it was a bit long for me but you can wear this folded or not. I hope you guys love this beanie, I know I enjoyed making it. I’m going to give this hat a try. I am new to crocheting and also love cats. Quick question: the pattern here is only calling for 33 chains..does this hat fit an adult? It’s sized more for a child, it was quite tight on me. Ch as many as will fit around your head snugly then proceed from there! Did I miss the ears pattern?